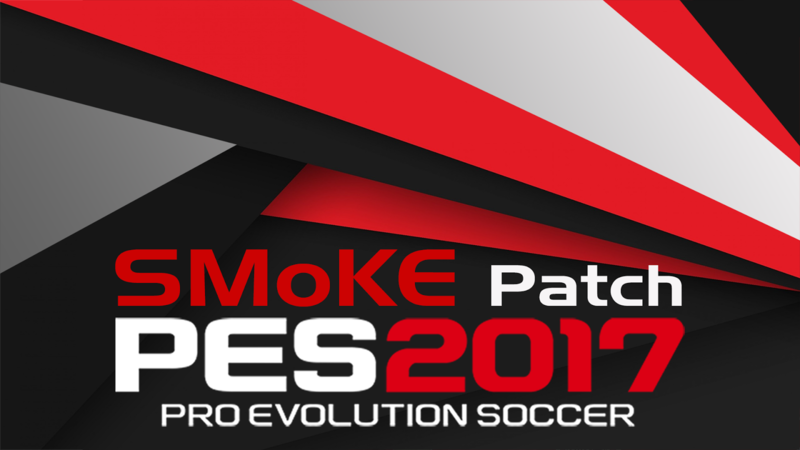 this is the full edition of smoke patch 9.5, this version is the last full patch for pes 2017, we will keep updating it but with less frequency depending on pes 2017 users. a lot of updates in this version, mainly updating squads, teams and players, a lot of reviews in that regard, made some national call-ups for a lot of national teams, and this version have an updated boot pack with 12 new boots. the new league switcher contains a variety of choices that you can choose from, all the teams will be available regardless of the leagues you choose, there is also an option to remove completely MLS teams from Latin america continent. as in the previous versions, all the leagues have correct names and logos, it is worth mentioning that it is not possible to change the league structure without bugging the game. this edition have 640 total teams (game comes with 540), you can check out all the teams in the game in the TEAMS 2017 page, all teams and national teams can be used normally in FL modes. teams have correct logos, kits, squads, manager, stadium name and fans color. as you might imagine, adding such a big number of teams will result in adding a huge number of new players, all players created have correct attributes, there might be some minor errors since there are more than 4000 new players added. the number of players in the patch is more than 13.000 player, around 3700 of them have real faces in this version, note that we do not create the faces, we only re-texture and re-assign, to see the face maker you can check pes-stars website. as the original game have fake teams and players, and incorrect names due to the lack of licencing, this also resulted in duplicated players, the patch removes and replaces all fake and duplicated players with real life players. this version includes an updated stadium pack v3, the stadiums in the patch are 40 unique models, converted from previous PES and smoke versions, we included a verity of locations for the stadiums, with high quality texture and fans, and HD skies for all stadiums. the stadiums have a lot of special ad-boards, all leagues new and old have correct ad-boards, with a lot of the major teams have their own special ad-boards. we have created HD turfs for the stadiums for optimal quality and game-play, we are aware that some find it bright or saturated, some find it dark, it is a matter of taste, our only goal is to have them as real as possible, you can always change the luminosity of your screen if you have other preference. LOW QUALITY setting users will not benefit the full potential of the game graphics due to a limited system power, the HD turfs will show a flat green color at night, we made a special turfs similar to konami turf that is compatible with low quality settings, can be downloaded and installed separably from addons. all teams in the game have correct stadium names, but as you surly know there is a bug that shows default name for teams without original stadium model in FL modes, we still cant find a solution for this so far. the patch adds more real balls to the game, including a couple of fantasy balls, a lot of other things also added such as referees kits and faces, a lot of real goalkeeper gloves and many other stuff that will make the game better and better. smoke patch uses only konami game-play, we never change or edit or modify the exe in anyway, as we believe that konami did a fine job with that. run the installer and choose PES installation folder, the patch must be installed in the same game folder, be sure you don't get errors and that the installer finished successfully. - This version is made to focus on offline modes, online feature will not find opponents due the the difference between the patch system files and the original game.